News headlines will often leave you with a feeling of despair and hopelessness. However, this story will immediately restore your faith in humanity. 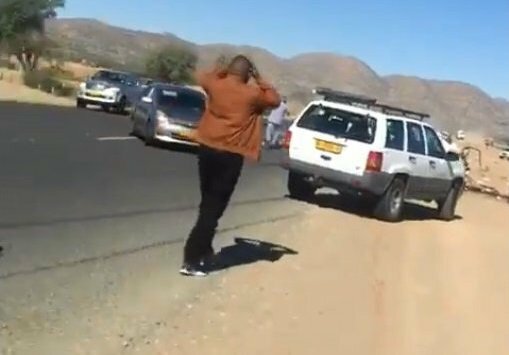 A taxi passenger, Tulonga Neputa, has been praised for rushing to the aid of a baby, the lone survivor of a fatal car crash in Namibia on Thursday. Two cars collided. All the occupants of the vehicles died - except for the baby. Martin Bester called her someone who can only be described as a hero. Tulonga is hoping to see him today. SA Long-distance Truckers have praised Neputa, labelling her a hero. Facebook user, Charmaine Rabie, commented: "Wow. As tragic as this is, this is what humanity is all about. I pray that that this child will grow up to know just how special he is. That despite all odds, God protected him and has a purpose for his existence."